The applications for the Ruth Pretty Palmer and Emerging Leader Awards are now open. Our chapters won big at the 2017 Grand Convention in Hollywood, Florida. Alpha Delta Pi denounces the hatred displayed in Charlottesville, VA over the weekend. 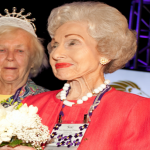 During Grand Convention, Alpha Delta Pi honored our alumnae. Alpha Delta Pi honored our chapters at both District Leadership Conference and Leadership Seminar this year. Click here to apply for the Ruth Pretty Palmer Award. Click here to apply for the Emerging Leader Award. Alpha Delta Pi denounces the hatred displayed in Charlottesville, VA over the weekend. Violence and bigotry have no place in our communities and we want to show our support for everyone affected by the actions of hate that took place. Alpha Delta Pi promotes the education and development of women at the collegiate level and beyond. In our members’ pursuit of personal growth, there is no room for racism or discrimination. 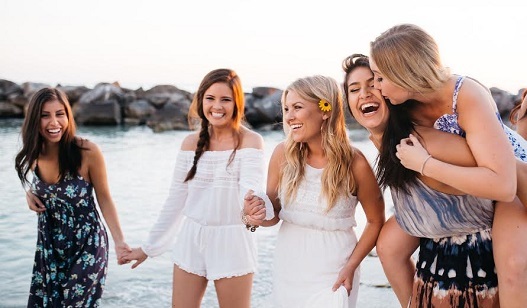 The Creed of Alpha Delta Pi calls on our members to watch their attitudes toward fellow-beings, and we believe this statement knows no bounds. We encourage our members to speak up in opposition to hate and any dialogue contradicting our principles. During Grand Convention, Alumnae Associations and individuals were recognized for all of their hard work this biennium. Awards were passed out at the Diamonds Award Banquet on July 1st, 2017 in Hollywood, Fl. Lollie serves as the Zeta Omega House Corporation President a member of the 175th Anniversary Committee, is the Fundraising Chair for the Epsilon Lambda Scholarship Fund, a loyal donor to the Alpha Delta Pi Foundation, has attended both Grand Convention and Leadership Seminars, served as the Greater Orlando Alumnae Association, is a loyal donor to the Alpha Delta Pi Foundation, and always remembers to ReMember, paying her ReMember dues each year. 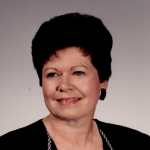 Bonnie is the current President of the Greater Atlanta Area Alumnae Association. 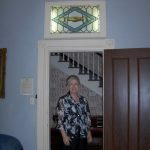 Bonnie’s former roles include member of the Technology Committee, Collegiate Province Director, serving as the Associate Executive Director on the Executive Office Staff and Ritual, Heritage and History Director, Chair. Bonnie has also attended Leadership Seminars and Grand Conventions, pays her ReMember Dues on a regular basis and is a Foundation Donor. Jo Ellen is the Former Alpha Delta Pi Foundation Vice President of Philanthropy and has served as an Alumnae Director. She is a loyal Alpha Delta Pi Foundation donor having been a member of the Wesleyan Society Member and a charter member of the Summit Society. She pays her ReMember dues regularly and has attended several Grand Conventions and Leadership Seminars. Betty is the President of the Springfield, OH Alumnae Association. 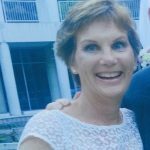 She was a longtime advisor to Chi chapter, an Alumnae Regional Director and a charter donor to the Alpha Delta Pi Foundation. 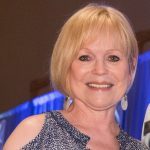 Sue currently serves as the President of the Dandy Lions, a group of former International Officers, and is a past National Finance Supervisor, now called a Chapter Finance Director. A Foundation Donor for the last 30 years, Sue was a charter Foundation Donor and Wesleyan Society Member, as well as a member of the “We Believe” Committee. She pays her ReMember dues regularly and has attended Grand Convention several times. Anne has served the sorority in many areas. She served on Grand Council, is a past President of the Alpha Delta Pi Foundation Board of Trustees, the board’s former Vice President of Scholarships and Grants, and was a “We Believe” Steering Committee member. 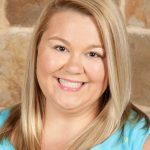 She has served as an IMPACT Alpha Delta Pi facilitator, an Alumnae District Director, and is a recipient the Ruth Pretty Palmer Panhellenic Award. She pays her ReMember dues regularly and has attended both Grand Conventions and Leadership Seminars. Connie is a former International Officer, serving in the role of Panhellenic Relations Director. She is a loyal Foundation donor, has attended both Grand Convention and Leadership Seminar, aids in the planning and execution of Oklahoma State Day, and was awarded both the Dorothy Shaw Leadership Award and Ruth Pretty Palmer Panhellenic Award. Magellan serves as the Standards Advisor for Gamma Chi chapter at TCU and is the former Social Advisor for Eta Phi chapter at Furman University. She contributes to the Alpha Delta Pi Foundation as a member of the Octavia Andrew Rush Society. Magellan is also a regular ReMember dues contributor. Cookie has been the ADPi representative for the Indianapolis Alumnae Panhellenic since 1986. She served as the President in 2000. She served on the IAP Centennial Celebration Committee and wrote the history of the IAP for the celebration. Ms. Murray has a professional record of over thirty-five years in senior-level advancement at major education and health institutions throughout America. 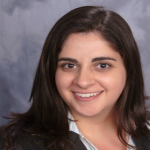 Colette began her professional career as a criminal defense attorney. Not long after, she was recruited to serve as the first legal counsel for the UC Berkeley campus. She initiated her advancement career as Executive Director of the Cal Alumni Association. 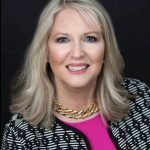 She has served as the senior advancement executive at UC Santa Cruz, University of Louisville, Texas Tech University, Henry Ford Health System, and Sharp HealthCare. Administrative responsibilities for these organizations have primarily included Fundraising and Alumni Affairs. Ms. Murray has a long history in leadership positions with professional philanthropic organizations. 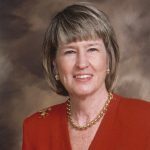 She is the only professional in history to serve as board chair of both the Association of Fundraising Professionals (AFP), an international organization with 30,000 members and Council for the Advancement & Support of Education (CASE). 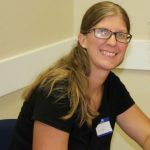 She received the nationally acclaimed Rev. Theodore M. Hesburgh Award for her leadership as a CASE Trustee. Colette was a member of the board of the Association of Healthcare Philanthropy (AHP) Foundation. 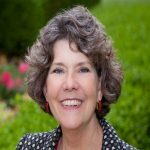 She is past president of the Health Systems Development Network of AHP whose members include all of the top senior philanthropy executives managing health systems nationally and she is a past member of the AHP Board of Directors. She has had a long and active role as member and chair of the AFP Ethics Committee and has led numerous workshops on ethical issues and case studies on ethics in philanthropy. 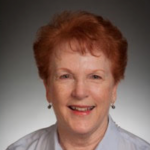 Ms. Murray has been on the faculty for dozens of CASE, AFP and AHP conferences and has also taught fundraising management at Texas Tech University, Wayne State University and UC San Diego. Ms. Murray is a graduate of the University of California, Berkeley and has a law degree from the University of San Francisco. 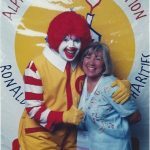 Ms. Murray has been, a certified fundraising executive (CFRE) for the past twenty years. Ms. Murray is an alumnus of Leadership America, Leadership Texas, Leadership California, and LEAD San Diego. She currently is a member of three boards and believes very strongly in volunteerism and diversity. She was President of San Diego Breakfast Rotary in 2000-2001. She is founding board member of the Desert Cities Chapter of AFP. 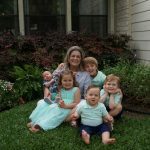 As CEO of Paschal Murray, Inc., Ms. Murray oversees a distinguished and varied staff of professionals and support personnel. Her goal for Paschal•Murray is to remain the most dedicated and ethical executive search firm in the nation and provide clients with exceptional personal services. In recognition of National Philanthropy Day, the Alpha Delta Pi Foundation is excited to announce and recognize the donors who helped us reach and exceed our $10,000,000 We Believe Campaign Goal for the future of Alpha Delta Pi. This five-year comprehensive campaign was initiated in August 2013 and publicly announced at the Sorority’s 164th Grand Convention in June 2015 with more than $6,000,000 in gifts and pledges committed at that time. The Foundation’s goal was reached more than a year earlier than was initially planned and projected. Named the We Believe Campaign, the overarching appeal to donors was the ability to designate their gift – impacting all areas of Foundation support. With a comprehensive appeal, donors were encouraged to make gifts of any amount through ongoing support of the Alpha Delta Pi Foundation’s Annual Fund, to establish or help create restricted funds, or with documented estate gifts by donors age 65 and older. 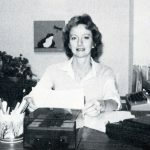 Led by Campaign Chair and Foundation Trustee Tracy L. Garner (Zeta Omicron – Georgia Institute of Technology, 1978), this Campaign was the single-largest fundraising effort in the history of Alpha Delta Pi. Two new history endowments ensuring the Sorority’s place in history continues to be an educational focus. More than 6,200 new donors from August 1, 2013 – August 21, 2016. A highlight of the $10,226,600 We Believe Campaign total, was a one-day total of $393,680 received from 1,718 gifts on the Alpha Delta Pi Foundation’s Inaugural Day of Giving. The 27-hour We Believe. We Give. Day of Giving was largely successful thanks to more than 153 digital ambassadors who took to email, text messages and social media to encourage their sisters, friends and family to donate in support of Alpha Delta Pi. In addition to the $10,226,600 received through the We Believe Campaign, Alpha Delta Pi chapters and alumnae associations have also raised more than $3,901,424 for our philanthropic partner Ronald McDonald House Charities and other non-profit beneficiaries. A We Believe Campaign Celebration was held in late August, with plans to continue the celebration across the country through the Sorority’s Grand Convention in June 2017. Avenue. Read the press release here. For more information about the project, please contact the Campaign Coordinator, Krystal Pittenger, at krystalp@penningtonco.com. These awards are organized in chapter order. On Wednesday, July 27th, Executive Office was pleased to release the brand new, first ever international recruitment video. With the help of chapters and volunteers, we designed this video to be used as a comprehensive look into what Alpha Delta Pi is all about so that chapters can share it with Potential New Members. We hope you enjoy the video! Watch it here. In March, NPC’s Board of Directors approved a government relations strategy. The Government Relations Task Force then developed a formal government relations platform taking great care to incorporate the priorities of the member organizations as shared through recent surveys. This three-pillar platform, intended to guide the government relations work of NPC, was approved at the May Board of Directors meeting. The Alpha Delta Pi Foundation held its first Day of Giving on July 13th, 2016, with a goal to raise money for our various scholarships, grants, funds, and other needs for the sisterhood. We can proudly say that we shattered records with our total of $393,581, making it the most successful Day of Giving for any Greek organization ever. We are First. Finest. Forever thanks to our wonderful volunteers, sisters, and staff! Thank you all!